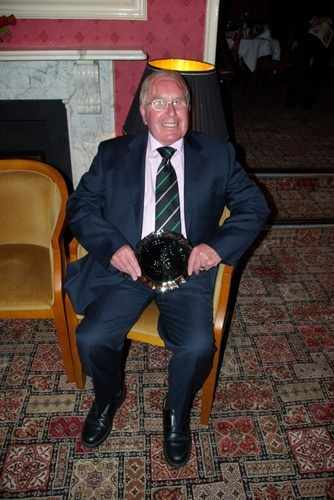 Saturday the 27th of September 2008 will live long in the memory of eight Argyle Legends who descended on Home Park for the game against Nottingham Forest. 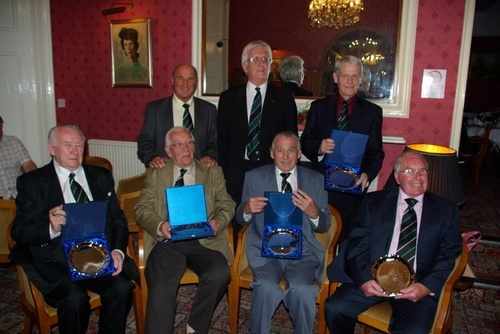 The occasion was the 50th Anniversary of the 1958/59 Championship winning side. These former Legends travelled from England and Wales to spend the weekend in Plymouth to recapture memories and tell tales of football in the fifties. 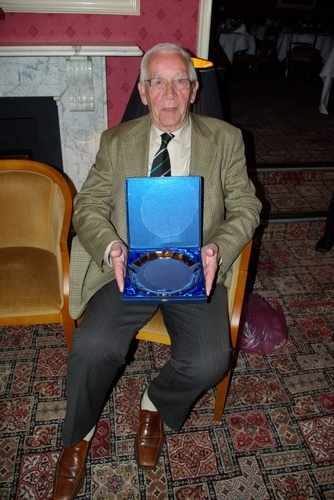 Peter Anderson, George Baker, Tommy Barrett, Geoff Barnsley, Harry Penk, John Lloyd Williams and their partners arrived on the Friday night for the celebrations to begin. After an evening renewing old friendships Saturday morning came too quickly for one or two of them. A stroll on Plymouth Hoe soon cleared sore heads and it was off to Home Park where they were joined by Johnny Williams and Alex Govan. After a healthy lunch the eight Legends were introduced to the crowd prior to the start of the Forest game where they received numerous gifts. 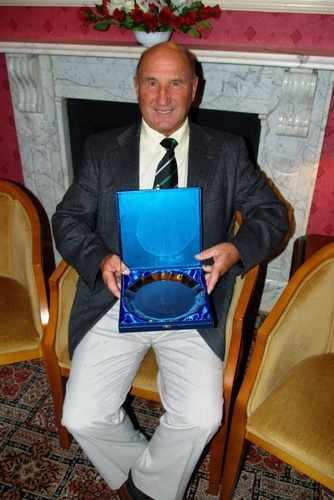 These were presented by the then Argyle Chairman Paul Stapleton and comprised of a modern day shirt with their name on the back, an Argyle Legends tie and a memento to celebrate the 50 years. They then walked around the pitch to the rapturous applause of the Green Army. 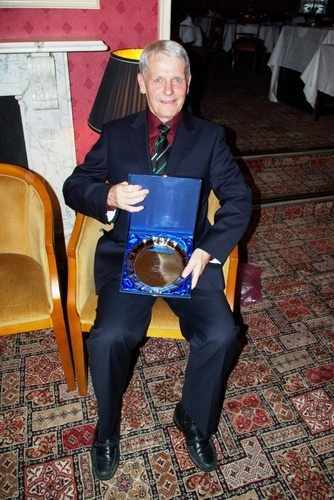 A celebration dinner followed in the evening which was attended by the then Argyle Vice Chairman Robert Dennerly and his wife. The Legends had been overwhelmed by the day and commented the welcome they received from the Green Army would live with them forever. They were particularly touched by the number of young people who cheered and clapped with genuine enthusiasm. The reception they got was still the topic of conversation the following day.